Sbiten is a traditional wintertime honey-based beverage popular in Russia that has been around since the 12th century. It was served from copper samovars by the sbitenshchik or sbiten makers, who brewed it on street corners and sold it to the eager and frost-bitten public. 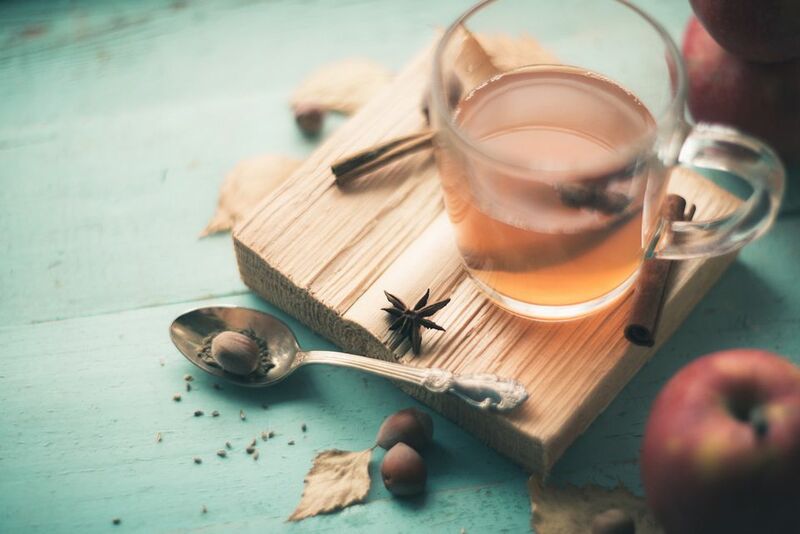 Sbiten fell out of favor with the advent of tea and coffee in the 19th century, but a renewed interest in this old-time drink is taking place now. Like mead and medovukha (a cheaper, faster version of mead), ​sbiten is made with honey, water, spices, and jam. The key to excellent sbiten is good-quality honey and spices. As you might expect, the ratios of these ingredients depend on the family making the drink. The word sbiten is from the Russian verb sbit, which means to beat and refers to the herbs and spices being pounded in a mortar. Some add red wine or vodka or brandy to the basic ingredients to make this a potent potable. There are many recipes for sbiten. The jam proportion in this recipe is higher than the honey, whereas you will find as much as 2 cups of honey in other recipes and only 2 tablespoons of jam. In a medium saucepan, combine honey, cloves, cinnamon sticks, ginger, blackberry jam, water or wine, nutmeg, mint leaf, if using, and chili peppers, if using. Slowly bring the mixture in the saucepan to a boil over medium heat, stirring frequently until honey and jam completely dissolve. Remove from heat. Let the sbiten come to room temperature. Strain the liquid through cheesecloth, pressing on the solids, and transfer to an airtight container or bottle—a 750 ml bottle should accommodate this amount of sbiten. Refrigerate and reheat when serving. In addition to sbiten, Russians enjoy spiced tea known as pryani chai. In the glory days of old Russia, it was served from a gleaming silver samovar, or from a metal version in modest households. Today, it can be prepared in a saucepan on the stovetop and the taste is just as delicious. Unlike sbiten, pryani chai has tea as its base and alcohol is rarely added, but all the requisite spices are in place with the addition of orange or tangerine zest and lemon juice.